Fast-Acting. Long-Lasting Tripple Action Formula. Kills fleas. Kills flea eggs and flea larvae. 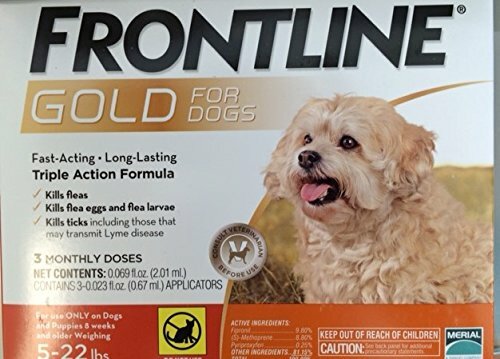 FRONTLINE Gold has a new triple action formula. Contains: fipronil and(S)-methoprene and pyriproxyfen make it relentless at killing fleas, flea eggsand larvae, as well as ticks.